This image below shows the number of controls you can control on front-end stats. I recommend Show Analytics to selected roles only instead of everyone. 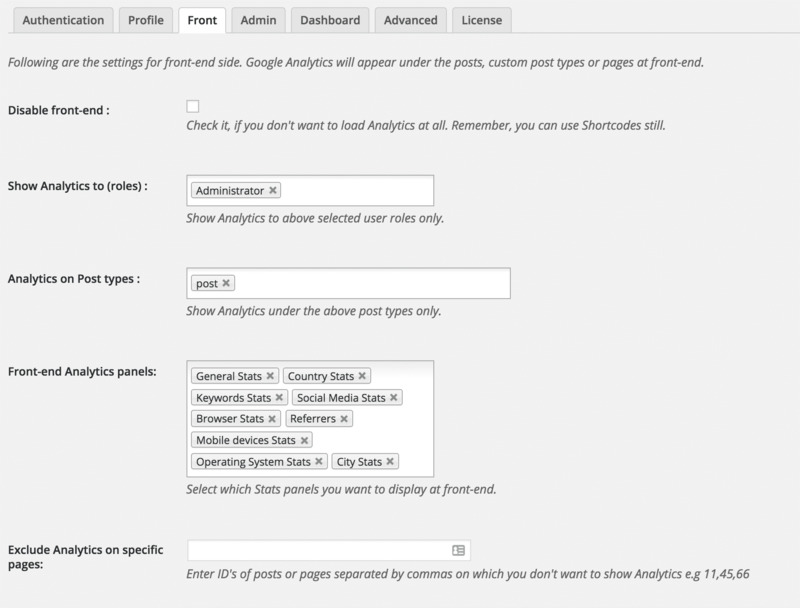 If you enable Analytics on ‘post' you will see a button like below at the bottom of each post which can popup different analytics data panels. Here is one of the General Stats popup. 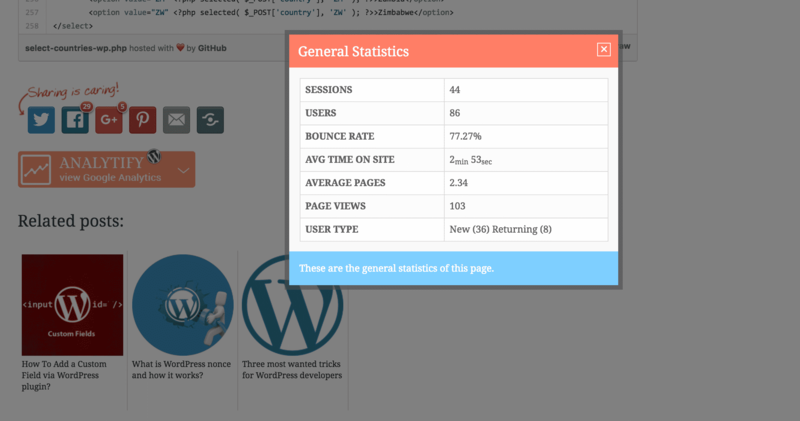 I have enabled front-end analytics for everyone for a limited time. Have a look at the end of this post.